Routing Services Ltd. - Why Direct Mail? Why Direct Mail continues to be an effective marketing tool. Direct mail can be targeted to both existing customers and new prospects. Direct mail can be personalized. Adding a personalized touch makes it more likely that customers will be responsive to your message and in the end make a purchase. Mail is physical. Because direct mail is essentially delivered directly into customers' and prospects' hands, they are virtually guaranteed to see and read your message. Since customers can also physically touch a piece of mail, they are more likely to see its contents as reliable. The format is familiar to Canadians. Canada Post is one of the oldest public-service institutions in Canada. 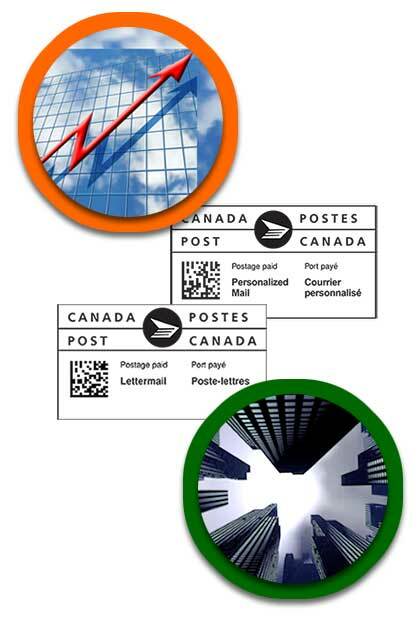 Canadians prefer direct mail as opposed to all other forms of advertising. Direct mail can be created in a wide variety of formats and options, from postcards and brochures, to magazines and catalogues. This versatility makes direct mailing a perfect strategy for almost any marketing need. The success rate of direct mail can be measured very simply. To measure the success of a direct mail campaign, the marketer only needs to count the number of inquiries made from a particular mail promotion or how many coupons are redeemed from a particular offer. Creating and producing a direct mail campaign is easy. With the wide availability of powerful marketing software and publishing tools, anyone can design a direct mail piece. Direct mail is cost effective. While the creation of a mailing piece itself is easy and affordable, you may qualify for Canada Post discounted rates for mass direct mail campaigns. Direct mail enhances other marketing initiatives. A marketing campaign that includes traditional approaches, like direct mail, along with new technology, reaches customers and prospects who may prefer more established and less intrusive forms of marketing. Direct mail works and has a proven track record. Because it is such an established form of advertising, there are many statistical facts that are testaments to its success and cost effectiveness. Direct mail is an outstanding marketing tool which enables you to attract new prospects and keep in touch with loyal customers.